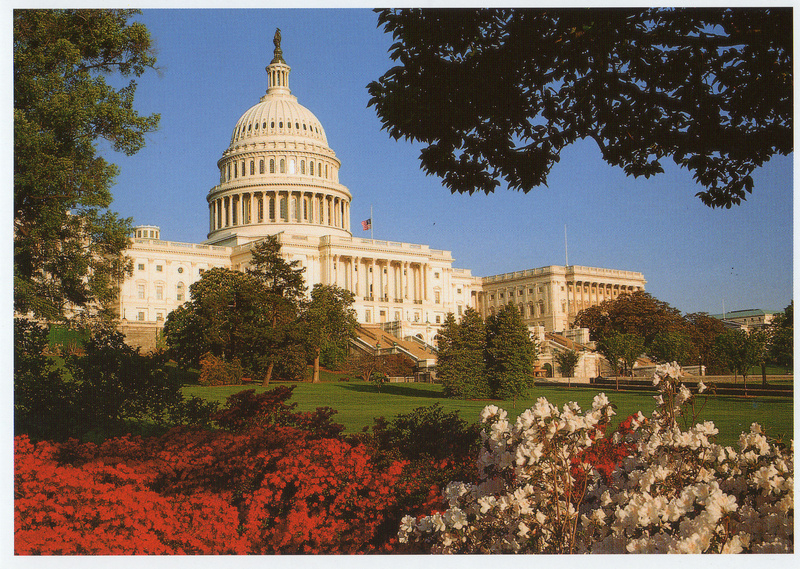 Soon I’ll be going to visit D.C.! 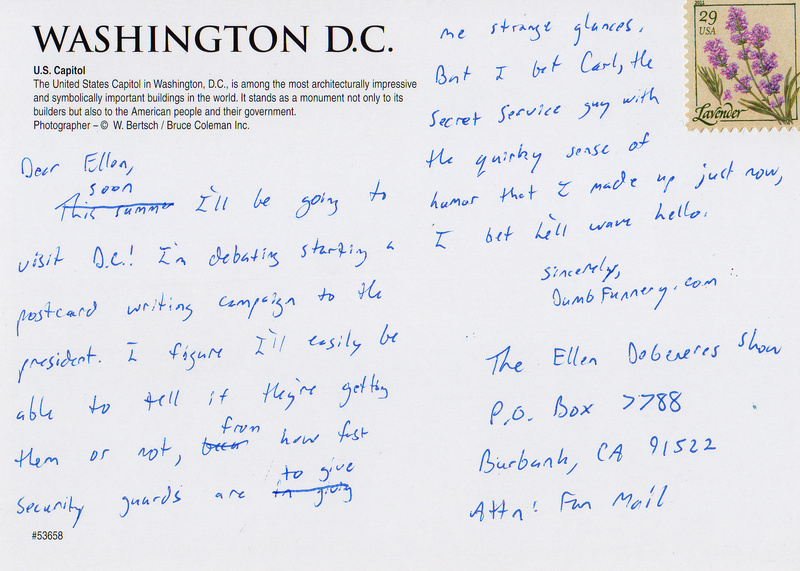 I’m debating starting a postcard writing campaign to the president. I figure I’ll easily be able to tell if they’re getting them or not, from how fast security guards are to give me strange glances. But I bet Carl, the Secret Service guy with the quirky sense of humor that I made up just now, I bet he’ll wave hello.